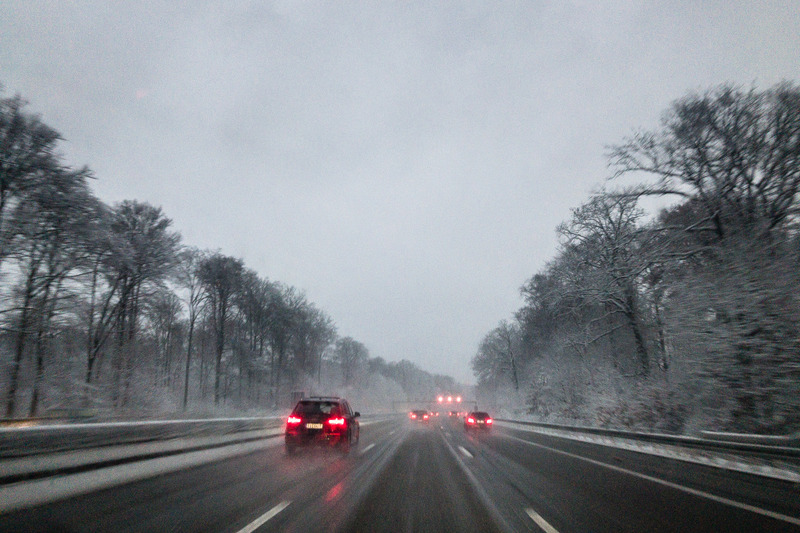 When I left Nürnberg, it was snowing again: I spent some time on the Autobahn: Then I rode a train. And another train. And then I was home. When I got there, I found a video on my hard drive that I had forgotten to post until now: Drawing lines on maps.